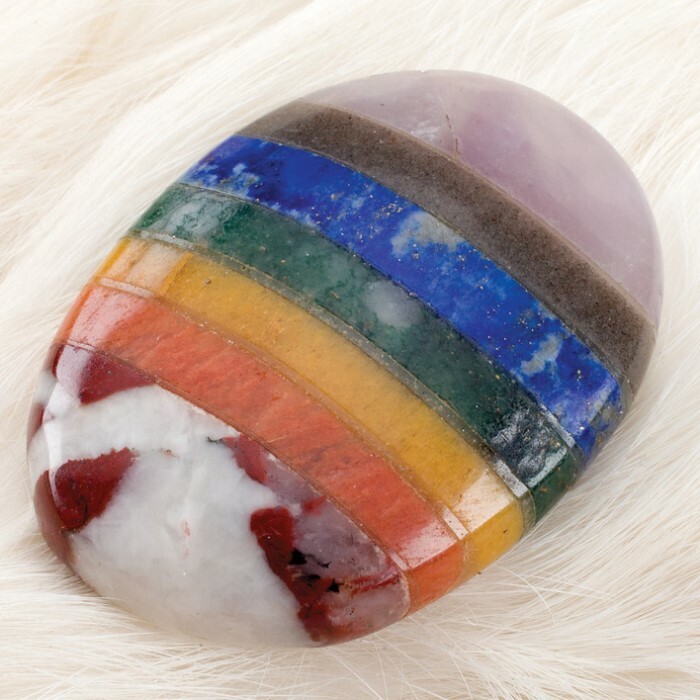 From ancient times, healers have used gem stones to heal the body and mind by releasing tension and transferring the gemstone’s energy to the body through ritual and massage and people have used worry stones to soothe away stress and negativity since time out of mind. 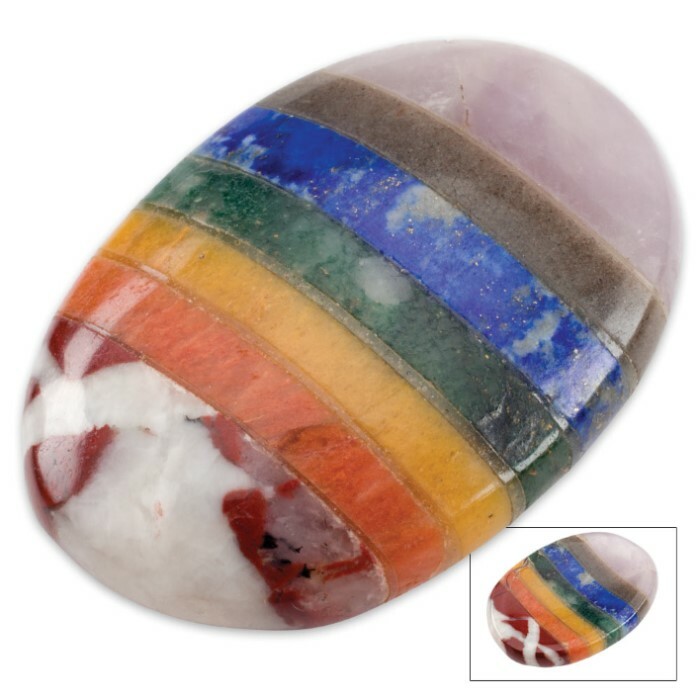 Our Seven Chakra Bonded Oval Worry Stone contains seven different gemstones bonded together so that the energy from them is magnified, especially, in the form of a worry stone. It is crafted of genuine amethyst, blue aventurine, lapis lazuli, green aventurine, yellow jasper, peach aventurine and red jasper.